South London T’ai Chi provides sessions for mature people, GP Referred Patients, Balance Improvement and local community. Private tuition on Taichi and Dynamic Balance Improvement provided by appointment only. See below for updated list of my public teachings. While I fully acknowledge the martial aspect of the T’ai Chi art, my approach to teaching is essentially a non-combative soft T’ai Chi, focussing on relaxation, dynamic balance improvement, fitness and health. South London T’ai Chi run a course for Lambeth Council for patients referred by GPs. This initiative was part of Lambeth Council’s Healthy Lifestyles GP Referral Scheme. This class is suitable for: All ages of any ability. A new t’ai chi course for “all ages” started from 7th March 2018 in Crystal Palace. 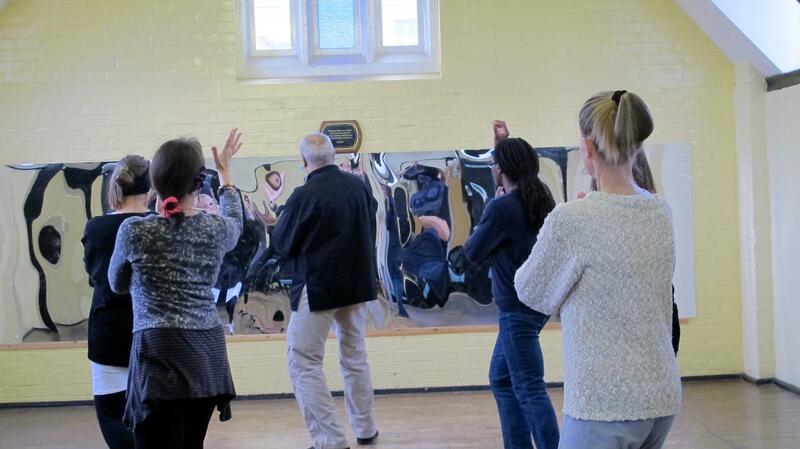 Since 2008: South London T’ai Chi used to run weekly classes as part of Wandsworth Council’s Active Lifestyles 50+ Programme which was dedicated to promoting and encouraging physical activity and exercise amongst over 50s in Wandsworth. Since July 2010: These weekly classes continue to run in collaboration between the Katherine Low Settlement and South London Taichi maintaining its low fee. South London T’ai Chi and the Katherine Low Settlement have started a new course for the community from 2010 at the Katherine Low Settlement, 108 Battersea High Street, London, SW11 3HP. The class had been originally established around the “Women of Wandsworth” (WOW Mums Group) however, is now open to all. 24 HOT QUESTIONS YOU ALWAYS ASK ABOUT T’AI CHI? Qigong is known as the art of manipulation of Chi or the ancient Chinese practice of coordinating breath, movement, and mindfulness. It has been known to promote better health and deep relaxation. There are many styles of Qigong such as: Dragon and Tiger, Medical Qigong, Kuan Yin, Shi Ba Shi etc. In South London Taichi we teach Shi Ba Shi, which consisted of 18 movements of Taichi and Qigong promoting better health, relaxation and deep breathing. Traditionally every movement repeated six times. It is a very relaxing exercise and all my students enjoying it. What is this Qigong that I hear so much about? So, What is “Chi” that you talked about in Qigong? In traditional Chinese culture Chi, Qi or Ki is an active principle forming part of any living thing. Chi is frequently translated as “natural energy, “life force”, or “energy flow”. Chi is the central underlying principle in traditional Chinese medicine and martial arts “Wikipedia”. I could not have said it better myself. Can I move objects with my Chi? There is a story that a grand monk was asking his students what do they want to achieve with their skills? One monk said I would like to establish a school to teach children to read & write as well as learning Martial Arts. The grand monk nodded his head in approval. Another monk said he would like his students to learn the healing art of acupuncture. The grand monk again nodded in approval. The third monk said that he would like to walk on water in which The grand monk shook his head and said: WHAT For? Are there many styles of T’ai Chi? Yes. There are three main styles: Yang, Chen and Wu and then there are internal martial arts and external ones which can be very confusing for newcomers. You should not worry about it as Chairman Mao Said: “Let a thousand flowers blossom”. Can I learn two different styles of T’ai Chi from two different teachers simultaneously? There is a Russian proverb that if you chase two rabbits you catch none. That may be true in hunting terms. It also depends how hungry you are and if you are prepared to miss your dinner for the sheer experience of chasing two rabbits? I tend to agree with the idea of studying with one teacher for at least for the first couple of years. Talk to your teachers seek their advice. Remember T’ai Chi is not a cult and you are not living in feudal China, you have a choice to study with whomever you wish to. However studying with two different teachers comes with its own responsibility and that is not taking what you have learned from one teacher to another teacher and try to teach them. Accept different teachings for what they are? How will T’ai Chi benefit me? Through practicing T’ai Chi, the body gradually learns to be flexible and softens, the mind follows. The mind is then unhindered by memories of the past and mystery of the future events. This is a more “natural state” of mind. This mindfulness helps you to see clearly and yield in the face of difficulties. Is there any research about the health benefits of T’ai Chi? Yes. There is a great deal of empirical research on the effectiveness of T’ai Chi in maintaining and balancing a good physical and mental health. Simply Google or see: “Research” under “T’ai Chi” above. What happens in a T’ai Chi class? First of all you meet many like-minded people. Most classes start with gentle stretching or warm up exercises. These exercises loosen the body, relax the mind, improve flexibility, balance and build up sensitivity and awareness of your body. Hidden in these exercises are the essence of T’ai Chi and being soft rather than hard and unyielding. In most classes a “T’ai Chi form” will be taught. A form is a combination of movements initially developed by a Grand Master, and then passed on to his senior students and then taught to you movement by movement. The form is not the end; it is only a tool to practice the essence of T’ai Chi. Many additional exercises go on in the class such as: partner work, sticking, yielding, pushing hands, roots testing, chi walking, martial applications which involve you to work with other students. They are all good fun. What Happens in other teacher’s T’ai Chi classes? I have no idea what happens in other T’ai Chi classes, I can only guess that other teachers will tell their new students firstly to RELAX and be SOFT and secondly to make and follow the SHAPES. I cannot emphasize enough that T’aichi teaches us to “Be soft & Yield”, “Be soft & Yield”, and “Be soft and Yield”. If you learn that you have learnt T’ai Chi but be ready as it takes a long time to learn and as you need a totally different mindset. Q11. How long does it take to learn the form? That depends on you and how much commitment you are prepared to make each week. Normally a short form takes about a year or so to learn and a further year or so to internalize and make it your own so you do not become your teacher’s carbon copy. Of course you can learn the choreography of a form in two/three months of intensive work. This is what I call “Surface Learning”. The Grand Master Professor Cheng Man-ching used to say it takes 20 years to learn T’ai Chi properly. Personally my T’ai Chi is no longer looks the same as when I started and certainly is not the same as I was taught by my teacher. So do not look for the final product, enjoy the journey and allow this beautiful art to unfold itself in front of your eyes. In feudal China, a potential student used to sleep outside the Master’s house for one year before they got permission to see the Master. Just imagine if one sleeps outside the wrong door all that time too? I used to practice Yoga and Pilate; do you think I can finish learning the form faster? We may need a change of mindset here? Are you prepared to spent time on your own to practice? And how prepared are you to open yourself to a new learning? Generally the answer is “NO” as it may take longer for you to let go of some the things you may have learned in other discipline that may come into contradiction with T’ai Chi. T’ai Chi is not postural and requires you to move, let go, and be soft. It requires you to climb out of your head and paying attention to your body and for that you have to be very present. Can I become a Master or Grand Master in T’ai Chi? I see that you are still looking at the end product (future)? Why do you want to become a master or grand master? What is wrong in being a good practitioner or a simple teacher? A good teacher, who can inspire students and is also sensitive to their needs. My former colleague professor Graham Davies who passed away in 2012 used to quote me this saying from Walter Hagen (Golfer 1892-1969): You’re only here for a short visit. Don’t hurry, don’t worry and be sure to smell the flowers along the way. Are there any rules to follow inside the class? A) All students to “under-perform” by 24% in my classes. For example: if they can reach and touch their toes or knees, they aim to do less by 24%. We have a lot of fun with this. After all we are looking for a progression and not perfection to start. I will tell you why 24% and not 25%, but not here. B) We practice “Mono Tasking” and NOT “Multi Tasking”. E.g. NO walking and texting simultaneously. I can’t lie on the floor or Yoga mat. Can I still practice T’ai Chi? Yes. You do not need a Yoga mat or to lie on the floor to practice T’ai Chi. I cannot stand up for an hour. Can I still practice T’ai Chi? Yes you can. I run courses for people with different abilities, in some of my classes we alternate between standing up and sitting down to accommodate for people like you. Note that your capabilities; your balance will change as you commit yourself to learning and relaxing. I noticed as students learn to relax, they also become more capable of doing moves that they were unable to perform before. Do I need to wear a Chinese uniform or Kung-fu soft shoes? No. You do not need any uniform, coloured belts, Chinese silk shirts or even Kung-fu soft shoes. 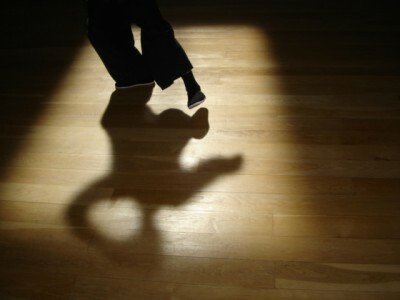 The beauty of T’ai Chi is that you can exercise barefooted as long as you are not diabetic. Feel the grass underneath your feet and sun on your back (use your imagination for the last one). It is all about celebrating your achievements internally and not wearing any external marking or ranking. P.S. Diabetic people know that any injuries to their body’s extremity may take longer to heal. Do I lose weight or would my headache go away? The answer is probably not. What you achieve is good balance, coordination and good breathing habits. Further to this, you develop your stabilising muscles, good body mechanics and postural stability, good martial art and self-defense abilities and above all general well being mentally and physically. I am 16 years old. Can I learn? Yes you can. My youngest student in one of my mixed class is 14 and she is well taken care of by other older students and indeed she has been inspirational for others to follow her as she moves with such an ease and elegance. I also teach twice yearly in a number of primary schools in South London.Yes you can. My youngest student in one of my mixed class is 14 and she is well taken care of by other older students and indeed she has been inspirational for others to follow her as she moves with such an ease and elegance. 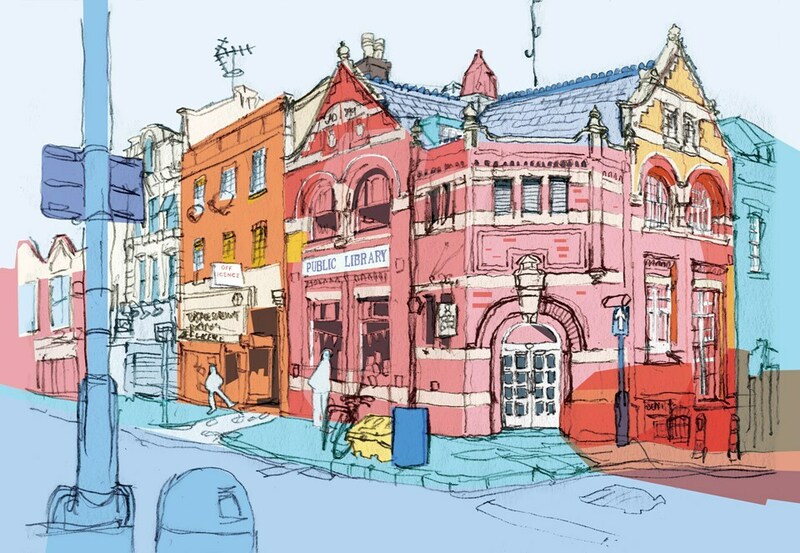 I also teach twice yearly in a number of primary schools in South London. I am 85 years old. Can I learn? Yes you can. My oldest student was 105 when she was learning T’ai Chi? She died at the age of 107. What I learnt from her was; one of the keys to longevity is not to give up on learning. I am religious and I am worried that T’ai Chi is going to brainwash me to worship some oriental Gods? To tell you the truth I came across this question differently. I have heard of some establishments who refuse to let their premises to use for Yoga or T’ai Chi classes as they see these somehow in contradictions with their own belief. The answer to your question is “NO” there is no brainwashing. In all these years of practicing T’ai Chi; I have never heard of a teacher trying to brainwash anybody to do anything that he/she did not want to do. Indeed I teach a group of nuns who has been practicing with me for over 10 years. They always been very welcoming to new learning and indeed challenge me to update my materials so they can move on to higher level of learning. Can I buy a book or DVD and not bother with attending a class? Register in a local class, feel the energy of a good teacher and other learners around you. Breathe together; fly like a flock of birds together as you are moving through these gentle and beautiful movements. Books and DVDs can be useful as supplementary tools but not as the main learning resource in this case. Head for your nearest T’ai Chi class, talk to teacher, seek their permission to attend a session and judge for yourself. See if you like the teacher, their style of teaching, the group, and the environment. Look particularly to see if they practice “soft” T’ai Chi? or if they have “Cool Rules”? Do your research and as they say: “A thousand mile journey starts with its first step”. Enjoy the journey. Who are you telling me all this? I retired from a professional career as Business Development Manager and Educational Technologist after 30 years of service. I made a 360 degrees life change, turning my 25 year old passion of Qigong & T’ai Chi into South London T’ai Chi School. I studied with many teachers in UK, Europe and USA. I volunteered as a First Aider with St John Ambulance for over six years. In my spare time I care for my plants in my Crystal Palace allotment.